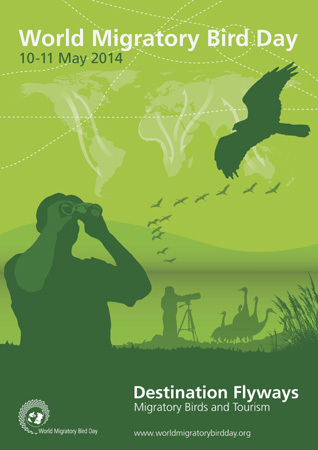 World Migratory Bird Day 2014 celebrated on 10-11 May was the most successful ever with over 400 events celebrated in 90 countries. For 2014’s campaign, World Migratory Bird Day partnered with the World Tourism Organization (UNWTO) and others to highlight the mutually beneficial relationship between tourism and conservation. With the theme “Destination Flyways: Migratory Birds and Tourism”, thousands of people came together at events - from bird watching to large eco-tours, local art exhibitions to international birding conferences – to celebrate migratory birds and the need for their conservation.